My daughter has strong and well kept teeth. She has her own dental doctor that attends to her dental needs. 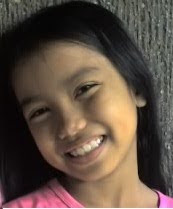 Unlike her elder sister she frequently complains of her teeth but if you look at her she has perfectly beautiful teeth. She had her general prophylaxis and general checkup and her doctor advised her tips on maintaining her teeth and one of the tips is to fight tooth stains. Here are some ways to fight those stains. Brush after every meal. Make a toothpaste by mixing baking soda with a little hydrogen peroxide. Use a mouthwash with an anti-bacterial additive. Or make your own mouthwash mixing equal amounts of water and hydrogen peroxide.